The breeze coming off the bay was cool, especially in the shade. The tall trees shielding the bright sun from my pale skin. It had been hot and dry in Denver leading up to this trip, with the temperatures approaching 100 every day; wildfires raging in southern Colorado, national forests closed to humans. It was a bad winter. It’s going to be a bad summer. 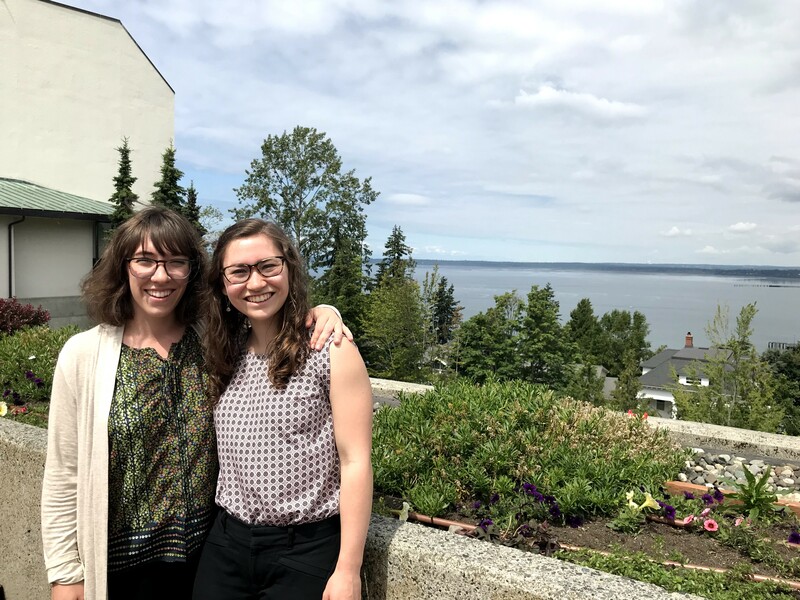 But, our Leah was graduating from college and so the Huey’s [Wirths, Petersen’s, Gordon’s and Kallin’s] trekked to the Pacific-Northwest. Apparently, if you live in Bellingham, Washington you become a “Bellinghamster”. Like if you live in Colorado long enough you become a “Coloradan”. I laughed so hard that tears rolled down my cheeks and my stomach burned when Leah told me that’s what they call themselves. Yet, the name couldn’t be more perfect for the small town, tucked into north-western Washington, two hours north of Seattle and one hour south of Canada. The bay to the west with the Pacific Ocean just a bit further, the North Cascades to the east. I’ve been to visit Leah at school once before. A few years ago, when she was still living in the dorms, Anna and I took a sister trip out to see her. We flew to Seattle and rode the Amtrak up the coast, stayed in a hotel and walked everywhere with Leah. She carefully showed us her new school, where she was taking classes and studying, introduced us to her friends and brought us down to the boardwalk. A long weekend full of exploring. I missed my flight back to Denver. I thought I booked my ticket for Monday, but to my dismay at 5 am I learned my plane had left 24 hours earlier. It was okay. There’s always a plan B. We rolled with the punches. This time we chased the sunset from Denver to Seattle, spent too short of time catching up with good friends in Seattle and drove up to Bellingham. This time I watched fields and hills flying by the window of the car. On Friday, Leah presented her Honors Thesis. The research she’s been a part of for the last few years – building a product that would help people that need large quantities of blood transfusions not have to depend on donors for a supply. Some smart stuff going on in that girl’s head. Next, we grabbed lunch at Aslan Brewing (YUM – I highly recommend the Hawaiian Pork Tacos) and headed to the house we were staying in at Lake Whatcom for naps. The front deck had these glass banisters so you could sit and watch the deer coming through the yard for a snack and feel the breeze blow across the lake. Peace and rest came over me for the first time in the last few months, as I sat and simply listened to the wind rustle the leaves on the trees and reveling in the beauty. 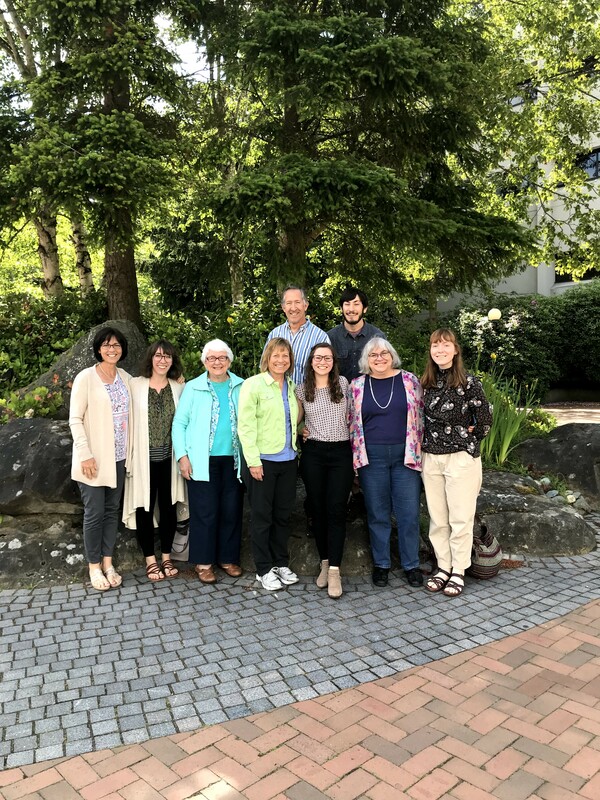 Graduation and a Thai dinner were in store for us on Saturday, and kayaking [we rented from here — Community Boating Center] in the Bellingham Bay and a salmon dinner was on the menu for Sunday. It was good eatin’ this weekend. At times, things seemed a little crazy. I guess it sort of comes with the territory when you bring together 11 adults. Some things didn’t always go as planned, and if there wasn’t already a plan B, we quickly came up with one. That’s called, “thinking on your feet”. It wasn’t a perfect trip, because everything went flawlessly, it was a perfect trip because of the people who joined in. There was grace in the ways we handled each other’s imperfections and beauty in the way we celebrated. 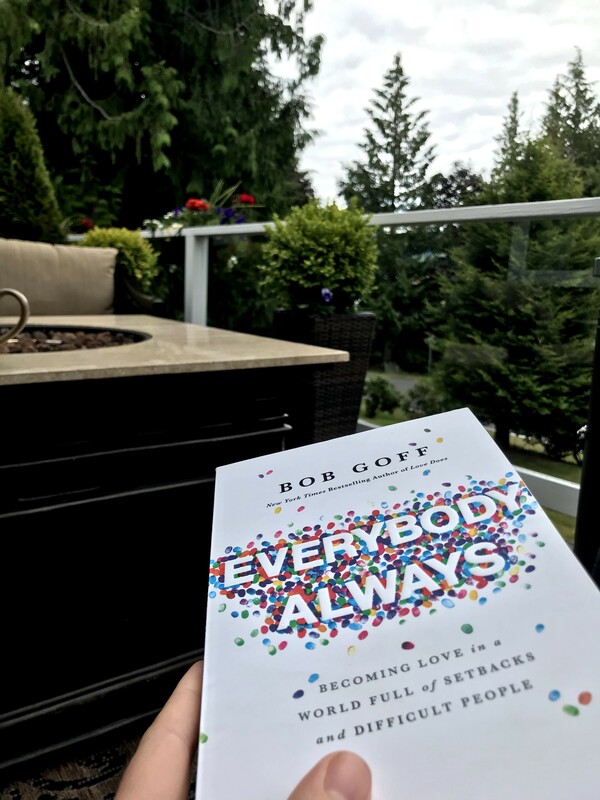 One of the first lines of Bob Goff’s new book, Everybody, Always says, “It’s given me a lot of comfort knowing that we’re all rough drafts of the people we’re still becoming”. Maybe instead of a red pen of judgment, we should read through our friends’ rough drafts with a softer color like purple, or aqua – grace and truth. The gentle breeze in Bellingham reminded me of this practice of patience. This entry was tagged Adventure, Bellingham, Family, Grace, Travel, Wander, Washington. Bookmark the permalink.